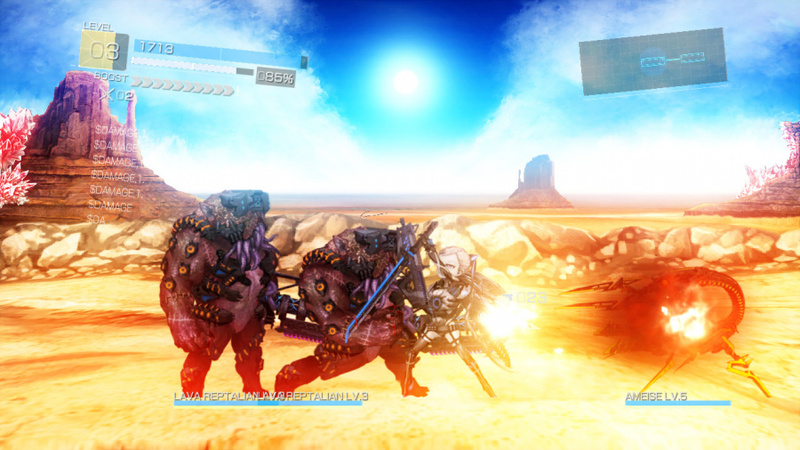 Following a 2016 release on other platforms (and known as Earth's Dawn in the West - it has been self-published on Switch, hence its original name), Japanese developer One Or Eight brings its 2D side-scrolling slash 'em up Earth Wars to Nintendo Switch, with moody, post apocalyptic sci-fi backdrop, a mix of old school brawling and varied skill-based progression. Right from the start, Earth Wars attempts to generate a traditional RPG feel, giving you a few options when you create your heroic avatar. 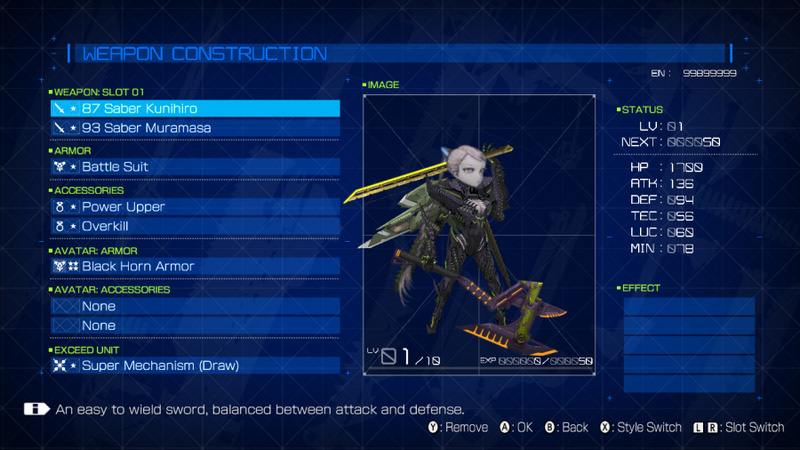 You can choose from eight male or eight female oversized characters and, curiously, also a set of voice sound effects. Whether your hero is brow furrowing or high heel heel wearing is of little practical relevance, as they all have a very similar attack set up, a disjointed, puppet like animation and overt design. 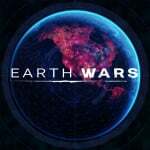 Regardless, the action is where Earth Wars will grab you or not, and that will ultimately come down to your level of perseverance. Initially, Earth Wars might generate interest because it seems like a 2D sci-fi Devil May Cry - jumping, dashing and juggling enemies to stack up points or using a range of weapons, but with a boat load of customisation thrown in for good measure. In terms of combat, the game does a good job of periodically introducing new moves and a constant stream of extra body parts to customise weapons with. While the combat is satisfying to learn and master, but there's often instances where it will be an 'all or nothing' experience. Once a group of enemies has been wiped out, you'll more than likely not interact with anything else until you return to a spawn point. It isn't very long until your progression will be halted by monstrous difficulty spikes, requiring you to complete some blandly designed levels multiple times in order to open up the necessary skill levels to continue. The result is replaying missions that are derivative, and swatting down hordes of inconsequential enemies only to be obliterated and blindsided by something ludicrously overpowered. 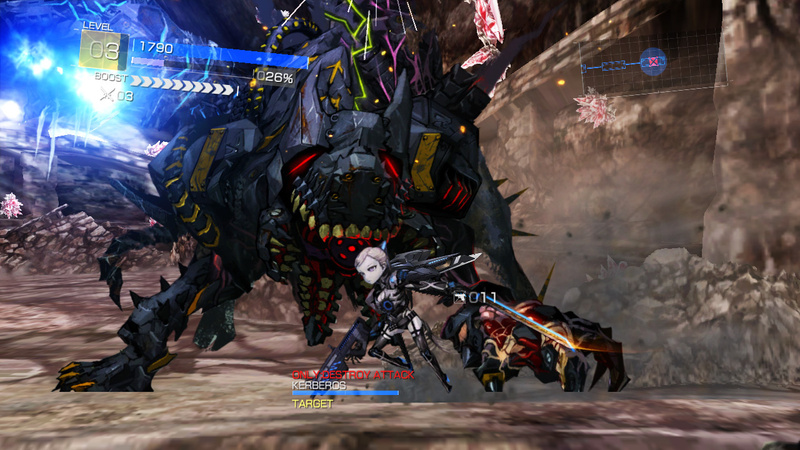 The game's story is a pretty standard 'battle to save humanity' affair, with the dialogue spoken in Japanese and subtitled in English. A crack team of elite soldiers called the A.N.T.I are drafted in to save the world from an invasion of mutant creatures known as E.B.E. Although you do navigate through the game as a team of four, they miraculously and conveniently go off to 'fight their own battles' when you engage in combat. In addition to your mysteriously absent squad members, there are the generic set of supporting characters, such as the stern military captain, or the institutionalised (and deranged looking) nurse. They used purely as exposition and appear in jarringly animated and oddly saturated cutscenes. Moving from place to place to eradicate the threat to mankind, it is from the powerful E.B.E that you will gather various body parts in order to craft and customise your biomechanical armour, melee and bullet heavy weapons. Early on, you'll be visiting and revisiting very similar environments, with little change in the structure of the level or missions. The missions are short, and here are a few deviations, such as timed challenges or find a particular item, but most of the time unlockable areas are cordoned off by giant glowing red cubes, and the camera gets a little too close in at times, which can result in getting blind sighted by more powerful enemies. 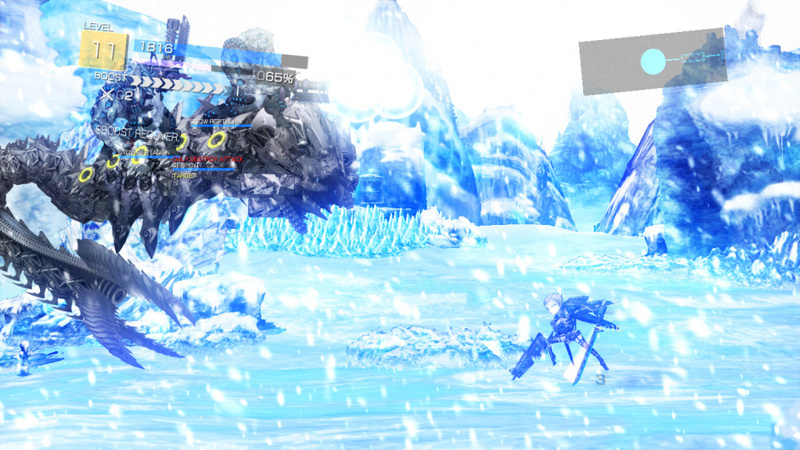 Later on in the game, the environments do get more varied and vibrant, and the main bosses don't fail to impress, despite their 2D presentation and segmented movement. Upon looting enemies and completing missions, you'll receive various rank based statistics and points to exchange for attributes which are used in the games huge skill tree, represented as a brain, divided into attack, defence and so on. If this stat heavy looting and grinding is your thing, then you'll get a lot more out of it than if you're just here for the fast paced action. Earth wars might just be taking too much inspiration from the Vanillaware games, rather than fully realising its own merits, because the combat is fun, the crafting is deep and skill system is interesting. What is frustrating is the bland characterisation, uninspired level design and repeated mission structure. It’s only a few dollars. For the price it is the most polished and most fun game on the eshop. It has faults but it so dang cheap. 10 h into the game and I'm starting to get tired of it.. but i must agree there is a lot of content for that price. Not sure if i will finish it , though. Seems okay for the price point but I'd still prefer to just cough up the extra money to get something else instead I think. Made me think of Advance Wars when I read the name. . . . I'm really enjoying if at 5 hours in. 4 bucks is such a steal for this game. The review didn't considered the price... for the price of a lunch you get the same amount of enjoyment as the food that passed through your body. Also, roughly the same amount of time it passed through your body before it reached the toilet. @Nincompoop @DownRightSam @mercilessrobot The game's price is astonishing considering how much more expensive it was on other platforms (and still is). Am quite enjoying it though admitidly not played too much. I put a couple of hours into it, it wasn't bad but it wasn't good. I like that this game is play in the style of Vanillaware's 2D brawler like Dragon's Crown and Muramasa but what I don't like about this game is that it tease you as if you are part of a squad out to exterminate the aliens as a team. Once you get into battle you found out you're the only one doing all the fighting whereas all your teammates seem to disappear for no reason then reappear after battle like wtf. To me that concept seem stupid and out of place, they could had easily patch a multiplayer co-op feature in there or at least give NPC order to some of the comrades but nope those people who follow you are just nothing more than distractions or cameo as they are useless. For the price this is an easy 8 out of 10 perfect scifi B Movie in action. To be clear, the number that I decided on for my review reflects how I feel about the game, not the price. I'm not disputing that is good value, or better value than most other games in its price range, and some may enjoy the grind and various other elements a bit more than I did, but for me I can't add an extra point and say that it is a 'good' game based on the asking price alone. I think both sides are in the right here. Take for example a game that you can get or 10 bucks on other systems but costs 60 for Nintendo. Even if the game is a 9 out of 10, people will dislike it. On the other hand, this game presents a rare instance in which the games costs exponentially lower on the Nintendo platform...and even if it is a 6 out of 10, people will like it. Aside from reminding me of a flash game, the only real complaint I have is the counter-offense is annoying as can be. I beat the first one. The second took me a couple times. The problem is that you're forced to play it when you know you aren't ready. Can't proceed farther without passing these challenges. Even when we have other places unlocked. I agree that the price point makes it a no brained for the content it has. This is a thoroughly competent game that happens to be wrapped in a style and trimmings that really appeal to me personally. The weapon crafting and skill tree are the kinda things that I really dig in games like this, and the look of the ANTI soldiers and the crumbled cities is all very good to me. At less than $5 you'd be silly not to try it if you like action games at all. Sounds interesting, so its a Cheap as Chips game? May just go for it if is out On UK eshop. played it for about 2-3 hours...and meh. Not a great game, but also not pissed I wasted away 4 bucks either. Its a game to play if you have nothing else to play at the time. 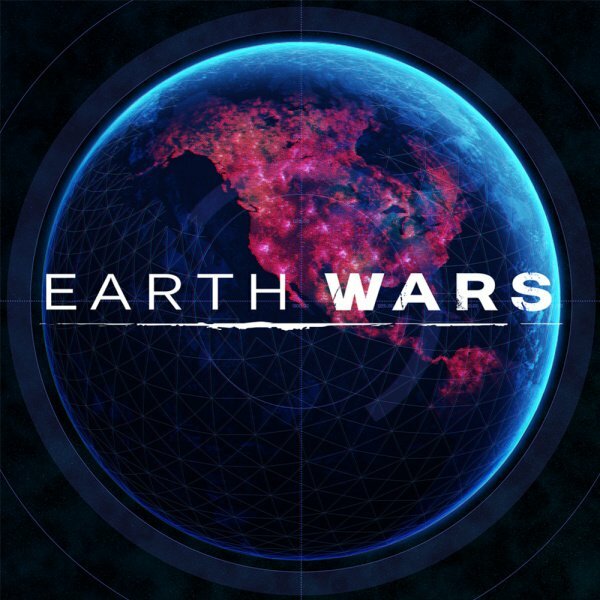 I've bought Earth Wars, and I'm having a ton of fun with it. Another commenter thought the people following around were rather stupid since they had no gameplay function, and I'd have to agree. However, I'd give it somewhere between an 8 or a 9. Anyway, I'd much rather support games like this than Celeste or Dandara (which I'll probably never buy) whose developers are friends of scumbags like Anita Sarkeesian and Rami Ismali respectively. Nintendo Life didn't bring that fact up in their reviews of the two games. @BulbasaurusRex The review read more like a4 or 5. I have no clue where you felt it sounded overly positive. @warp3d And they didn't mention the fact it was raining on the day development for these games started! Nobody cares. It has absolutely nothing to do with the quality of the games. Take your politics out of gaming. Thank you. @KeeperBvK Like I said, it's great where it counts and not so great where it doesn't matter much. With such great core gameplay and customization options, the grinding and repetativeness and bland environments are only minor issues. I also consider the fact that the mission objectives don't get too crazy to be a good thing. Therefore, the review overall makes this sound like a pretty good game. @KeeperBvK I could see how my comment about Celeste is wrong, but Dandara's development team's account, Long Hat Games, actually showed their liking for Rami Ismali by following him and considering him a friend or at least, a trusted aquaintance, (https://twitter.com/tha_rami/status/961855763479068675) on Twitter, who was involved in some Twitter drama about making up facts (https://twitter.com/tha_rami/status/959921246162030594) involving the Nolan Bushnell controversy less than a week before some of Dandara's staff said that. I was talking with E;R about this topic less than a week before on Twitter, so some of my sociopolitical agenda from my discussions with him leaked out onto my previous comment in a Nintendo Life comments section where it didn't belong. However, being against a known liar like Rami isn't a political agenda. Nintendo Life didn't mention either of the two topics likely because they didn't know. I wasn't trying to hate on them. I was just listing two factors that they didn't mention. @impurekind Likewise, I expected it to be a strategy game.